Even if you're making the most of natural cooling in your home, there's no substitute for air conditioning to keep you and your family cool when the summer heat arrives. Installing air conditioning doesn't have to mean running up expensive energy bills, as long as you choose your unit wisely. 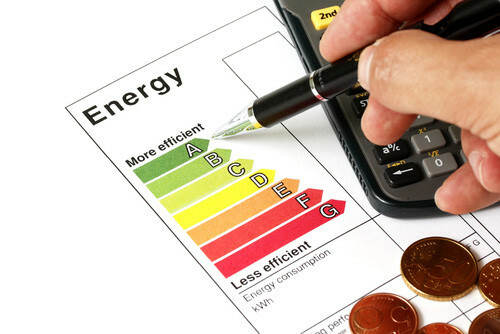 Investing in the latest energy-efficient systems is well worth it for the long-term savings you'll enjoy on cooling costs. Here are the most popular types of air conditioners in Australia and how they compare in the efficiency stakes. The most efficient option if you need to cool a larger home or commercial building, ducted air conditioning connects multiple rooms to a central fan coil that's usually installed in the roof. You can control the individual units in each room, and more advanced ducted systems allow you to set multiple zones for different cooling needs. Ducted air conditioning is usually the most expensive type to install, because of all the duct work that needs to be done. But once it's installed, you'll enjoy cheaper running costs compared to most other systems. Slightly less efficient than ducted systems in a larger building, split system air conditioners are the ideal option for small and medium-sized homes. They're cheaper to install, as no ducting is required. Instead, the outdoor unit is connected to the separate indoor unit via a hose. In a multi-split system, multiple indoor units can connect to the same outdoor condenser, saving space outside your home. The most efficient split systems use inverter technology that controls the fan motor with greater precision, making it easier to maintain your desired temperature and avoiding wasting energy. If you only need to cool a single room, you may prefer a traditional window unit. These are some of the cheapest air conditioners to buy up-front and the easiest to install, but they're less energy-efficient than ducted and split systems, which means more expensive cooling costs in the long term. There's still a large degree of difference between different brands and models though, so you should always compare before you buy. It can be worth paying more up-front for a feature-packed air conditioner than one that's going to run up expensive bills and provide less efficient cooling. The least efficient and least powerful option, portable air conditioning units are used for personal cooling or to cool small rooms. They're a lot less effective at cooling larger spaces and will run up expensive cooling bills in the long term. Single-hose units don't connect to the outside, so they have to work hard to circulate the air inside rooms to reduce the air pressure and draw warm air into the system. Dual-hose units are more efficient, as one of their hoses brings in and pushes out air from the outside, so they don't need to alter the air pressure. ← How does an air conditioning unit work?